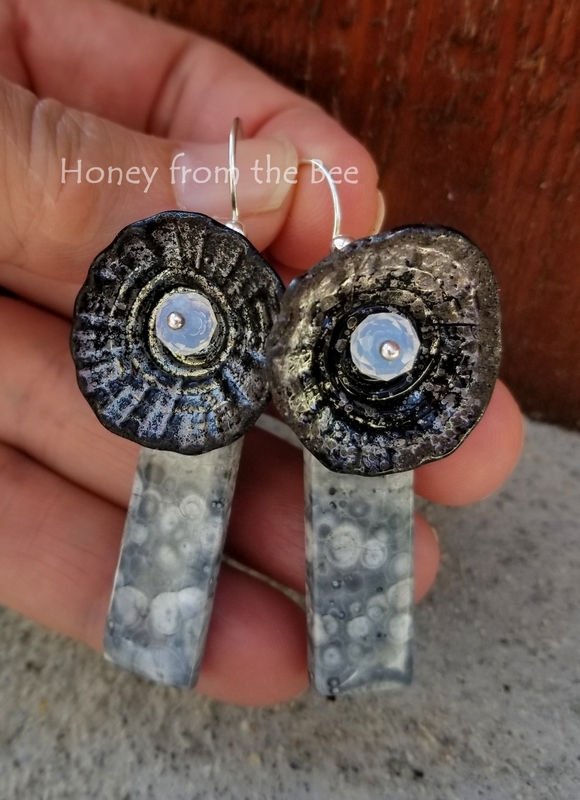 These grey, black and white artisan earrings are dramatic. Up here in Idaho we get some AWESOME Thunderstorms! Big clouds billow in and keep piling up until they're dark and gray. Then kaboom! and lightning lights up the sky. It's the kaboom that gets you right in the gut that reminds me of the bass in a loud rock concert. lol! Now that Moose is practically deaf they're a lot more fun. Lampwork by the incomparable Lori Lochner - these shimmer and have so much texture! 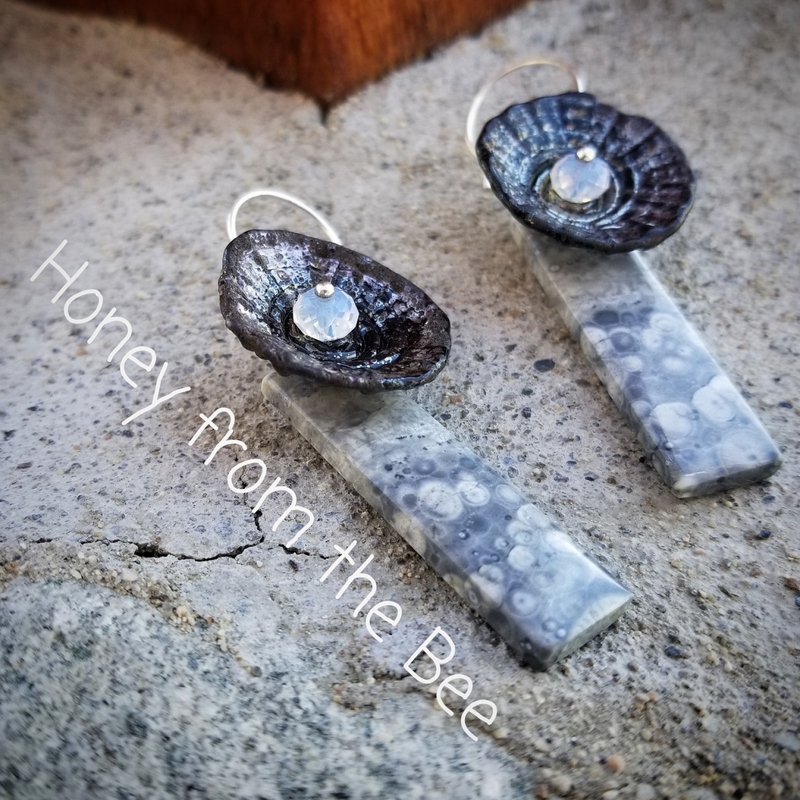 2.5 inches long from the top of the earwire to the bottom of the stone.